My name is Kevin Katzke, owner, skipper and chef of yacht Catatude. I am a 52 year old adventurer by heart and soul, people say one is born this way; it’s in your genes. Adventurers are mostly entrepreneurs as well, three examples that come to mind (and there are many hundreds), are Richard Branson, Steve Fosset and our local hero Mike Blythe. Many years ago I met my wife, best friend and life partner, Laura. Besides bringing up four daughters we left our cozy 9 to 5 jobs and started a business selling barcode printers, barcode scanners, data collection units and labels. Our family and friends thought we had lost our marbles and thought we were quite irresponsible starting a new business from nothing whilst still having to bring up a young family. Well, 25 odd years down the line we have a flourishing multi million rand business that provides employment for over 50 people. I have flown microlight aircraft, fixed winged aircraft, helicopters and my favorite flying machine being my Faithful Magni Gyrocopter named “Cizzy”. Laura and I, circumnavigated our amazing country in our Gyrocopter following its entire border line, we have flown to the remotest parts of Namibia and Botswana all in all spending 5000 hours in the air, that’s besides all my 1 minute skydiving freefalls from 10.000ft. Laura and I have also done some extensive 4X4 vehicle exploration in Southern Africa and our Northern neighbours sometimes being 3 days drive from civilization. That’s when you don’t want to break a leg or get bitten by a snake or a scorpion. Our other passion is scuba diving. On the 4th of June 2006 I had a near fatal skydiving accident. I had a malfunction on my main chute due to the pilot chute that pulls the main canopy out of its bag, getting wrapped around my leg at opening time at 3500ft. To cut a long story short the reserve opened at 700ft breaking my fall which saved my life but I broke my back at L3 vertebrae as well as shattering my tibia. 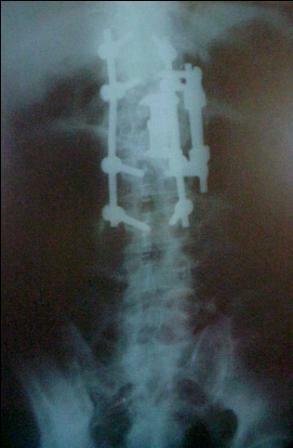 After some serious surgery, some intricate metal structure work from the neurosurgeon and a year long recovery period, I am very pleased to say I am 100% mobile again. I did unfortunately loose my pilot’s license due to my medical condition. So what now? 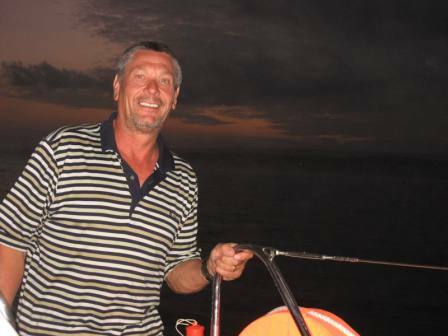 Well being an adventurous spirit and becoming really restless and somewhat depressed, I was really interested when I found out that our friends Dave and Dawn Pritchard decided to retire and go sailing on their newly built Voyager 50ft Catamaran, this was about 4 years ago and around about the time I had the accident. We were invited to join them on the vessels “maiden voyage” from the V&A waterfront in Cape Town to Clifton. This is when the “lights went back on” and Laura and I discovered sailing. We bought our first sailing boat a Levranos 36 ft in Cape Town, which we learnt to sail on, getting our day skipper license first. From there we bareboat chartered a 39ft Bavaria in the Greek Ionian Sea for two seasons, then got our coastal skippers ticket, whilst placing our order for our Knysna 440 named Catatude and taking ownership of her in December 2008. An awesome moment that will stay for me for the rest of my life. With our new Zooty sailing vessel Laura and I sailed up and down our coast accumulating 3000 odd nautical miles of sailing both during day time and night to finally arrive at both of us completing our Yacht Master Offshore ticket. Where to from now? Who knows, but for sure to circumnavigate the earth. So please join us on our adventures at sea, we have this amazing planet to explore and cherish which is an honour to be part of, for such a short time as mortal beings.